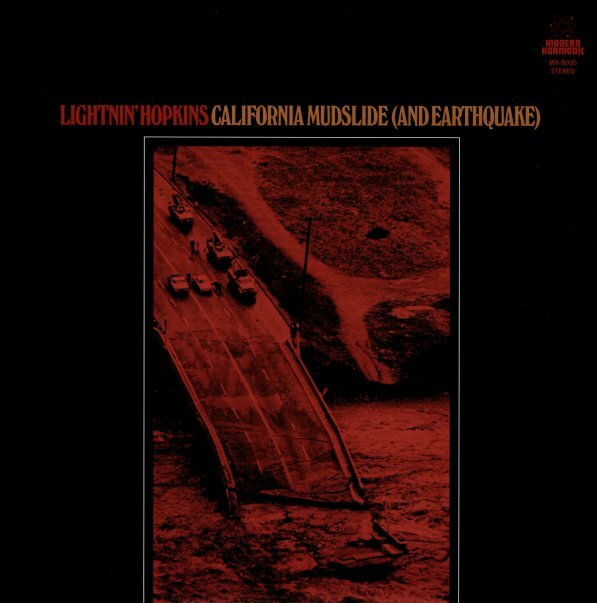 One of the more obscure Lightning Hopkins albums of the 60s – a very spare session recorded in Los Angeles for the Vault label – but done with a vibe that's like some of Hopkin's earliest material from the 78rpm generation! The only difference is that the recording quality is superb – so that every note and vocal inflection comes through wonderfully, although without any sort of commercial pretense at all – because it's clear that producer Bruce Bromberg has no interest in trying to make anything other than the kind of record that really gets at the heart of Lightnin's genius. Titles include "No Education", "California Mudslide", "New Santa Fe", "Jesus Would You Come By Here", "Los Angeles Boogie", "Change My Way Of Living", and "Rosie Mae". © 1996-2019, Dusty Groove, Inc.